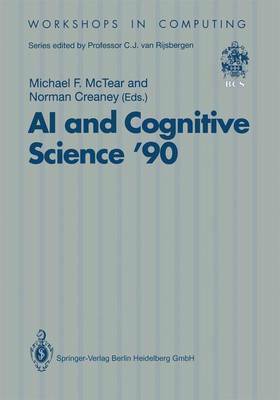 This book contains the edited versions of papers presented at the 3rd Irish Conference on Artificial Intelligence and Cognitive Science, which was held at the University of Ulster at Jordanstown, Northern Ireland on 20-21 September 1990. The main aims of this annual conference are to promote AI research in Ireland, to provide a forum for the exchange of ideas amongst the different disciplines concerned with the study of cognition, and to provide an opportunity for industry to see what research is being carried out in Ireland and how they might benefit from the results of this research. Although most of the partiCipants at the conference came from universities and companies within Ireland, a positive feature of the conference was the extent of interest shown outside of Ireland, resulting in partiCipants from USA, Canada, Austria, and England. The keynote speakers were Professor David Chin, University of Hawaii, and Professor Derek Partridge, University of Exeter, and the topics included machine learning, AI tools and methods, expert systems, speech, vision, natural language, reasoning with uncertain information, and explanation. The sponsors of the conference were Digital Equipment Co (Galway) and the Industrial Development Board for Northern Ireland.